My thoughts: So...this book had a lot of hype and I picked it up because of that. Of course I was intrigued by the synopsis - a big family dealing with issues - dysfunction at its best...how could I not want to read more? The story was good, not great, but good. I felt like there was a lot going on and it moved all over the place - sometimes jumping around a bit too much, and then it would slow down and not really go anywhere for a while. And the ending was a bit of a let-down for me, but overall - a good, easy read for the summer. As for the characters - they are spoiled adults living beyond their means, relying on money for happiness. And coming to the realization that they can no longer do this...nor is this the way to live. 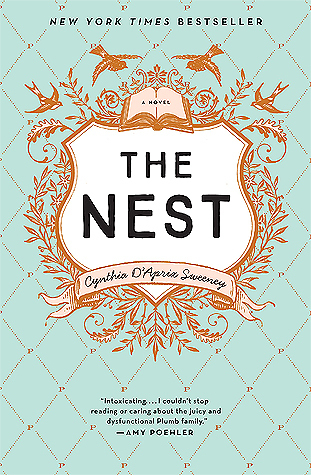 The dysfunction within this family did, in fact feel real, the sibling rivalry, the relationships between mother and children - that all seemed to ring true. I liked the book, I just didn't love it. Audio thoughts: This is the first time I've listened to Mia Barron narrate a book and I thought she did a good job. 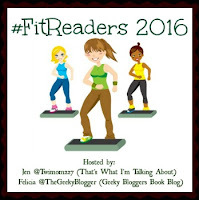 There was a lot of characters in this book and while I didn't love the story, at least I liked the narration! A few weeks ago, I made mention of a big walk I'll be doing in early 2017...well, now that I'll all registered, I can talk about it. In March of 2017, I'll be doing the CHALLENGE WALK MS in Savannah, GA. It is a three-day, 50-mile walk that tests your strength and your spirit, and makes an extraordinary difference in the lives of people with MS and their families. I did the walk three years ago when it was held in Charleston, and what an amazing experience it was...it is grueling and physically challenging, but also awe-inspiring at the same time. I won't officially start my training until September when it hopefully starts to get a little more comfortable to walk outdoors, but I can at least start with the fund-raising efforts. Strength-training exercises 3x a week - Done! Yoga 2-3 times a week - at least 15 minutes - Done! Eat mindfully - continue to drink a minimum of 64 oz of water, limit caffeine intake, up intake of fruits and veggies, up intake of protein at each meal, limit intake of sugar. - Some weeks this is easy, some weeks not so much. The water intake is easy, but trying to eat healthy in this heat isn't always so easy! Some days all I want is ALL THE ICE CREAM!!! My thoughts: This is the second book I've read by Megan Abbott and wow...just WOW! She manages to create such captivating thrillers that you get completely sucked into with these amazing twists and turns where you have no idea what is going to happen. 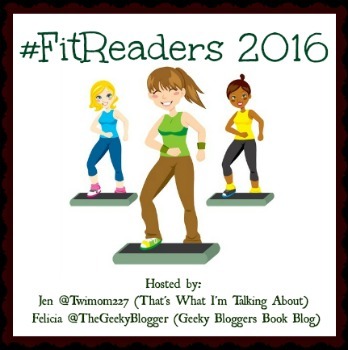 While this book appears to be about gymnastics at a quick glance, it's much more than that. It's about the parenting that comes with competitive gymnastics and just how far and how obsessive parents become when their child is told she has what it takes to be the very best. This then changes the dynamics of the family life as now this becomes their primary focus, almost to the exclusion of everything else, even any other children. There are so many layers to this story and when you add in the mystery of the death, it just ramps up the suspense and adds in more questions. You want to know how it's all tied together and who is responsible, but you are almost afraid to find out. So many questions come to mind and so many what if's...I wasn't sure where this was headed and I sure didn't guess it, but boy oh boy, what a ride! Megan Abbott knows how to write an addictive book...I devoured this book and cannot wait to pick up her other books I have not read yet. Have you read Megan Abbott yet? 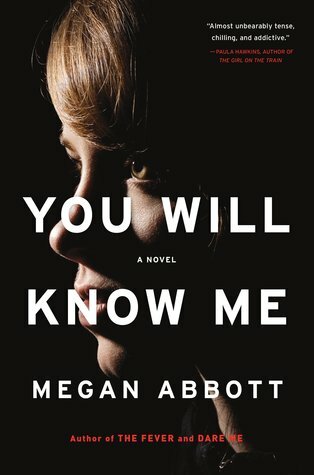 You Will Know Me by Megan Abbott is one of BookSparks "Summer Reads" reading selection picks. My thoughts: This is the first book I've picked up by Paula Treick DeBoard but it certainly will not be the last! From the very first chapter I was hooked and found I couldn't walk away from the book...the twists and surprises that are intertwined in this story just didn't stop coming, and you never knew what would happen next. What I really loved about this book is how the tension builds so slowly...you aren't really sure what is going on, but you know it's going to get bad. And the back and forth in time just adds to this. It was such a great way to tell this particular story. And while these types of stories have been done before, I think this one stands up well! I also loved the characters - they were fleshed out and well-developed, even the unlikeable ones. And that's important. You don't have to like a character to love them, if that makes sense. There are secrets and lies and at times you don't know what or who to believe. This book is crazy...and will have you realizing just how easy it is to find yourself caught in the middle of a nightmare that you had no intention of being in. What started as a simple interaction on one person's side turned into something completely out of control because the other person took it that far. Be forewarned...once you start this book, you are not going to want to put it down until you finish it...it's that addicting and you are going to want to find out how it all ends! I cannot wait to pick up Paula Treick DeBoard's other books and will definitely be keeping an eye out for future releases from this talented author! Audio thoughts: The audio of this book was done very well and I thought both Amy McFadden and David Atlas, both of whom I've listened to before, did great jobs with the voices. The accents they uses, especially David's accent for Phil's character were spot on, and made the listening experience quite enjoyable. Please join me in welcoming Anna Solomon to Always With a Book. Anna's new book, Leaving Lucy Pear, is out today. I'll be reviewing this book in the coming weeks, but for now, please enjoy this spotlight on the book and be sure to enter the giveaway below!!! 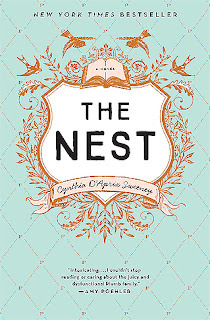 “Anna Solomon writes with a poet's reverence for language and a novelist's ability to keep us turning the page. 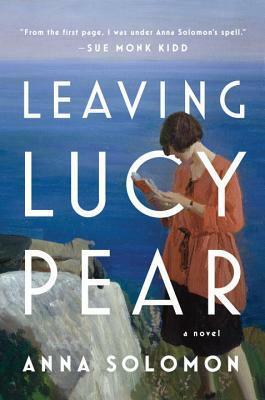 LEAVING LUCY PEAR is a gorgeous and engrossing meditation on motherhood, womanhood, and the sacrifices we make for love.” —J. Courtney Sullivan, New York Times-bestselling author of Maine and The Engagements. Thanks to the publicist I have one copy of Leaving Lucy Pear to give away to my readers. To enter the giveaway, please fill out the form by August 2nd. This giveaway is open to US residents only and ends August 2nd. Following an extended leave, Louise Rick returns to work at the Special Search Agency, an elite unit of the National Police Department. She's assigned a case involving a fifteen-year-old who vanished a week earlier. When Louise realizes that the missing teenager is the son of a butcher from Hvalsoe, she seizes the opportunity to combine the search for the teen with her personal investigation of her boyfriend's long-ago death . . . Louise's investigation takes her on a journey back through time. She reconnects with figures from her past, including Kim, the principal investigator at the Holbaek Police Department, her former in-laws, fanatic ancient religion believers, and her longtime close friend, journalist Camilla Lind. As she moves through the small town's cramped network of deadly connections, Louise unearths toxic truths left unspoken and dangerous secrets. My thoughts: This is the next book in Sara Blaedel's Louise Rick series and I was so excited to get my hands on it. I really liked the previous book in the series, The Forgotten Girls, and have been desperately waiting for this next book. If you know anything about my reading habits, you know I have to read series in order and in this case, it really does make sense. The previous book sets up a big part of the personal story line that Louise is struggling with in this book - and in fact sets in motion her drive for finding out what really happened the night her boyfriend died so long ago. Luckily this personal investigation is able to be paired with the case she is working on - that of a missing teenager. As for this case...it's a bit creepy and a little suspect. It seems as if his family isn't all that concerned that the boy is missing. 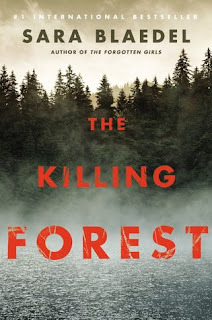 Between this and the old Nordic religion, Asatro, this book will have you intrigued for sure - sacrificial woods, an ancient religious cult, and a series of murders - how could it not? What I love about this book, and about the series so far, is that the characters are well-developed and believable. They are all flawed, real, down-to earth people that could easily be someone you might know or even be friends with - that makes them so much more relatable, even if they aren't likeable all the time! I also love that the books are fast-paced. Even when Sara is taking the time to set things up - like in this book when we are learning about the Asatro - I never felt bogged down in detail. Sara Blaedel is very quickly becoming one of my favorite crime fiction authors...and I really do hope her books continue to be translated in English. This latest one was really good, despite the creepiness of the case, and Louise Rick is such a great main character that I can't wait to catch up with her again. But trust me when I say, read The Forgotten Girls first - there is a lot of background story that is referred to in this book!! !